Mountain View, Arkansas itself hosts numerous cultural experiences, like the Bluegrass Festival held every year. 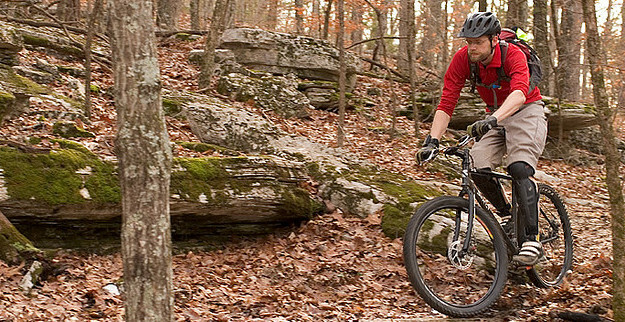 Along with an entertaining town square, the Mountain View area hosts a multitude of outdoor destinations, including: Sylamore Creek Trail System; Blanchard Springs Caverns; and Syllamo Mountain Biking Trails. The North Sylamore Creek is located in the Ozarks of north central Arkansas, about 2 to 3 hours north of Little Rock and 45 minutes west of Batesville. The trail is a 23-mile point-to-point that features beautiful sandstone bluffs rising out of crystal clear North Sylamore Creek. Click here for water levels. Located in Stone County, approximately 2 miles off Highway 14 near Mountain View, the Blanchard Springs Caverns are some of the most spectacular and carefully developed caves found anywhere. Visitors enter a "living" cave where glistening formations like stalactites, stalagmites, columns, and flowstones are still changing. These crystalline formations are the result of minerals deposited by dripping water. Nestled in the Sylamore District of the Ozark-St. Francis National Forest, the Syllamo Trail is one the finest purpose-built mountain bike trail systems in the country. Arranged in four intertwined loops, the 50 miles of trail provides options for an all-day epic, or for shorter tours.